after a drawing by R. Westall, R.A..
NEW YORK: CHARLES SCRIBNER'S SONS. PREFACE TO THE SECOND VOLUME. The text of the present edition of Childe Harold's Pilgrimage is based upon a collation of volume i. of the Library Edition, 1855, with the following MSS. : (i.) the original MS. of the First and Second Cantos, in Byron's handwriting [MS. M.]; (ii.) a transcript of the First and Second Cantos, in the handwriting of R. C. Dallas [D.]; (iii.) a transcript of the Third Canto, in the handwriting of Clara Jane Clairmont [C.]; (iv.) a collection of "scraps," forming a first draft of the Third Canto, in Byron's handwriting [MS.]; (v.) a fair copy of the first draft of the Fourth Canto, together with the MS. of the additional stanzas, in Byron's handwriting [MS. M.]; (vi.) a second fair copy of the Fourth Canto, as completed, in Byron's handwriting [D.]. The text of the First and Second Cantos has also been collated with the text of the First Edition of the First and Second Cantos (quarto, 1812); the text of the Third and of the Fourth Cantos with the texts of the First Editions of 1816 and 1818 respectively; and the text of the entire poem with that issued in the collected editions of 1831 and 1832. Considerations of space have determined the position and arrangement of the notes. Byron's notes to the First, Second, and Third Cantos, and Hobhouse's notes to the Fourth Canto are printed, according to precedent, at the end of each canto. Editorial notes are placed in square brackets. Notes illustrative of the text are printed immediately below the variants. Notes illustrative of Byron's notes or footnotes are appended to the originals or printed as footnotes. Byron's own notes to the Fourth Canto are printed as footnotes to the text. Hobhouse's "Historical Notes" are reprinted without addition or comment; but the numerous and intricate references to classical, historical, and archæological authorities have been carefully verified, and in many instances rewritten. In compiling the Introductions, the additional notes, and footnotes, I have endeavoured to supply the reader with a compendious manual of reference. With the subject-matter of large portions of the three distinct poems which make up the five hundred stanzas of Childe Harold's Pilgrimage every one is more or less familiar, but details and particulars are out of the immediate reach of even the most cultivated readers. The poem may be dealt with in two ways. It may be regarded as a repertory or treasury of brilliant passages for selection and quotation; or it may be read continuously, and with some attention to the style and message of the author. It is in the belief that Childe Harold should be read continuously, and that it gains by the closest study, reassuming its original freshness and splendour, that the text as well as Byron's own notes have been somewhat minutely annotated. i. Édition Classique, par James Darmesteter, Docteur-ès-lettres. Paris, 1882.
ii. Byron's Childe Harold, edited, with Introduction and Notes, by H. F. Tozer, M.A. Oxford, 1885 (Clarendon Press Series). iii. Childe Harold's Pilgrimage, edited by the Rev. E. C. Everard Owen, M.A. London, 1897 (Arnold's British Classics). Particular acknowledgments of my indebtedness to these admirable works will be found throughout the volume. I have again to record my grateful acknowledgments to Dr. Richard Garnett, C.B., Dr. A. S. Murray, F.R.S., Mr. R. E. Graves, Mr. E. D. Butler, F.R.G.S., and other officials of the British Museum, for constant help and encouragement in the preparation of the notes to Childe Harold. I desire to express my thanks to Dr. H. R. Mill, Librarian of the Royal Geographical Society; Mr. J. C. Baker, F.R.S., Keeper of the Herbarium and Library of the Royal Botanic Gardens, Kew; Mr. Horatio F. Brown (author of Venice, an Historical Sketch, etc. ); Mr. P. A. Daniel, Mr. Richard Edgcumbe, and others, for valuable information on various points of doubt and difficulty. On behalf of the Publisher, I beg to acknowledge the kindness of his Grace the Duke of Richmond, in permitting Cosway's miniature of Charlotte Duchess of Richmond to be reproduced for this volume. I have also to thank Mr. Horatio F. Brown for the right to reproduce the interesting portrait of "Byron at Venice," which is now in his possession. INTRODUCTION TO THE FIRST AND SECOND CANTOS OF CHILDE HAROLD. The First Canto of Childe Harold was begun at Janina, in Albania, October 31, 1809, and the Second Canto was finished at Smyrna, March 28, 1810. The dates were duly recorded on the MS.; but in none of the letters which Byron wrote to his mother and his friends from the East does he mention or allude to the composition or existence of such a work. In one letter, however, to his mother (January 14, 1811, Letters, 1898, i. 308), he informs her that he has MSS. in his possession which may serve to prolong his memory, if his heirs and executors "think proper to publish them;" but for himself, he has "done with authorship." Three months later the achievement of Hints from Horace and The Curse of Minerva persuaded him to give "authorship" another trial; and, in a letter written on board the Volage frigate (June 28, Letters, 1898, i. 313), he announces to his literary Mentor, R. C. Dallas, who had superintended the publication of English Bards, and Scotch Reviewers, that he has "an imitation of the Ars Poetica of Horace ready for Cawthorne." Byron landed in England on July 2, and on the 15th Dallas "had the pleasure of shaking hands with him at Reddish's Hotel, St. James's Street." (Recollections of the Life of Lord Byron, 1824, p. 103). There was a crowd of visitors, says Dallas, and no time for conversation; but the Imitation was placed in his hands. He took it home, read it, and was disappointed. Disparagement was out of the question; but the next morning at breakfast Dallas ventured to express some surprise that he had written nothing else. An admission or confession followed that "he had occasionally written short poems, besides a great many stanzas in Spenser's measure, relative to the countries he had visited." "They are not," he added, "worth troubling you with, but you shall have them all with you if you like." "So," says Dallas, "came I by Childe Harold. He took it from a small trunk, with a number of verses." Dallas was "delighted," and on the evening of the same day (July 16)—before, let us hope, and not after, he had consulted his "Ionian friend," Walter Rodwell Wright (see Recollections, p. 151, and Diary of H. C. Robinson, 1872, i. 17)—he despatched a letter of enthusiastic approval, which gratified Byron, but did not convince him of the extraordinary merit of his work, or of its certainty of success. It was, however, agreed that the MS. should be left with Dallas, that he should arrange for its publication and hold the copyright. Dallas would have entrusted the poem to Cawthorne, who had published English Bards, and Scotch Reviewers, and with whom, as Byron's intermediary, he was in communication; but Byron objected on the ground that the firm did not "stand high enough in the trade," and Longmans, who had been offered but had declined the English Bards, were in no case to be approached. An application to Miller, of Albemarle Street, came to nothing, because Miller was Lord Elgin's bookseller and publisher (he had just brought out the Memorandum on Lord Elgin's Pursuits in Greece), and Childe Harold denounced and reviled Lord Elgin. But Murray, of Fleet Street, who had already expressed a wish to publish for Lord Byron, was willing to take the matter into consideration. On the first of August Byron lost his mother, on the third his friend Matthews was drowned in the Cam, and for some weeks he could devote neither time nor thought to the fortunes of his poem; but Dallas had bestirred himself, and on the eighteenth was able to report that he had "seen Murray again," and that Murray was anxious that Byron's name should appear on the title-page. To this request Byron somewhat reluctantly acceded (August 21); and a few days later (August 25) he informs Dallas that he has sent him "exordiums, annotations, etc., for the forthcoming quarto," and has written to Murray, urging him on no account to show the MS. to Juvenal, that is, Gifford. But Gifford, as a matter of course, had been already consulted, had read the First Canto, and had advised Murray to publish the poem. Byron was, or pretended to be, furious; but the solid fact that Gifford had commended his work acted like a charm, and his fury subsided. On the fifth of September (Letters, 1898, ii. 24, note) he received from Murray the first proof, and by December 14 "the Pilgrimage was concluded," and all but the preface had been printed and seen through the press. The original draft of the poem, which Byron took out of "the little trunk" and gave to Dallas, had undergone considerable alterations and modifications before this date. Both Dallas and Murray took exception to certain stanzas which, on personal, or patriotic, or religious considerations, were provocative and objectionable. They were apprehensive, not only for the sale of the book, but for the reputation of its author. Byron fought his ground inch by inch, but finally assented to a compromise. He was willing to cut out three stanzas on the Convention of Cintra, which had ceased to be a burning question, and four more stanzas at the end of the First Canto, which reflected on the Duke of Wellington, Lord Holland, and other persons of less note. A stanza on Beckford in the First Canto, and two stanzas in the second on Lord Elgin, Thomas Hope, and the "Dilettanti crew," were also omitted. Stanza ix. of the Second Canto, on the immortality of the soul, was recast, and "sure and certain" hopelessness exchanged for a pious, if hypothetical, aspiration. But with regard to the general tenor of his politics and metaphysics, Byron stood firm, and awaited the issue. There were additions as well as omissions. The first stanza of the First Canto, stanzas xliii. and xc., which celebrate the battles of Albuera and Talavera; the stanzas to the memory of Charles Skinner Matthews, nos. xci., xcii. ; and stanzas ix., xcv., xcvi. of the Second Canto, which record Byron's grief for the death of an unknown lover or friend, apparently (letter to Dallas, October 31, 1811) the mysterious Thyrza, and others (vide post, note on the MSS. of the First and Second Cantos of Childe Harold), were composed at Newstead, in the autumn of 1811. Childe Harold's Pilgrimage, quarto, was published on Tuesday, March 10, 1812—Moore (Life, p. 157) implies that the date of issue was Saturday, February 29; and Dallas (Recollections, p. 220) says that he obtained a copy on Tuesday, March 3 (but see advertisements in the Times and Morning Chronicle of Thursday, March 5, announcing future publication, and in the Courier and Morning Chronicle of Tuesday, March 10, announcing first appearance)—and in three days an edition of five hundred copies was sold. A second edition, octavo, with six additional poems (fourteen poems were included in the First Edition), was issued on April 17; a third on June 27; a fourth, with the "Addition to the Preface," on September 14; and a fifth on December 5, 1812,—the day on which Murray "acquainted his friends" (see advertisement in the Morning Chronicle) that he had removed from Fleet Street to No. 50, Albemarle Street. A sixth edition, identical with the fifth and fourth editions, was issued August 11, 1813; and, on February 1, 1814 (see letter to Murray, February 4, 1814), Childe Harold made a "seventh appearance." The seventh edition was a new departure altogether. 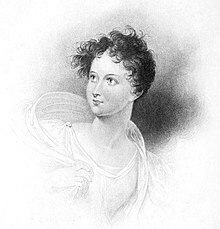 Not only were nine poems added to the twenty already published, but a dedication to Lady Charlotte Harley ("Ianthe"), written in the autumn of 1812, was prefixed to the First Canto, and ten additional stanzas were inserted towards the end of the Second Canto. Childe Harold, as we have it, differs to that extent from the Childe Harold which, in a day and a night, made Byron "famous." The dedication to Ianthe was the outcome of a visit to Eywood, and his devotion to Ianthe's mother, Lady Oxford; but the new stanzas were probably written in 1810. In a letter to Dallas, September 7, 1811 (Letters, 1898, ii. 28), he writes, "I had projected an additional canto when I was in the Troad and Constantinople, and if I saw them again, it would go on." This seems to imply that a beginning had been made. In a poem, a hitherto unpublished fragment entitled Il Diavolo Inamorato (vide post, vol. iii. ), which is dated August 31, 1812, five stanzas and a half, viz. stanzas lxxiii. lines 5-9, lxxix., lxxx., lxxxi., lxxxii., xxvii. of the Second Canto of Childe Harold are imbedded; and these form part of the ten additional stanzas which were first published in the seventh edition. There is, too, the fragment entitled The Monk of Athos, which was first published (Life of Lord Byron, by the Hon. Roden Noel) in 1890, which may have formed part of this projected Third Canto. No further alterations were made in the text of the poem; but an eleventh edition of Childe Harold, Cantos I., II., was published in 1819. The demerits of Childe Harold lie on the surface; but it is difficult for the modern reader, familiar with the sight, if not the texture, of "the purple patches," and unattracted, perhaps demagnetized, by a personality once fascinating and always "puissant," to appreciate the actual worth and magnitude of the poem. We are "o'er informed;" and as with Nature, so with Art, the eye must be couched, and the film of association removed, before we can see clearly. But there is one characteristic feature of Childe Harold which association and familiarity have been powerless to veil or confuse—originality of design. "By what accident," asks the Quarterly Reviewer (George Agar Ellis), "has it happened that no other English poet before Lord Byron has thought fit to employ his talents on a subject so well suited to their display?" The question can only be answered by the assertion that it was the accident of genius which inspired the poet with a "new song." Childe Harold's Pilgrimage had no progenitors, and, with the exception of some feeble and forgotten imitations, it has had no descendants. The materials of the poem; the Spenserian stanza, suggested, perhaps, by Campbell's Gertrude of Wyoming, as well as by older models; the language, the metaphors, often appropriated and sometimes stolen from the Bible, from Shakespeare, from the classics; the sentiments and reflections coeval with reflection and sentiment, wear a familiar hue; but the poem itself, a pilgrimage to scenes and cities of renown, a song of travel, a rhythmical diorama, was Byron's own handiwork—not an inheritance, but a creation. But what of the eponymous hero, the sated and melancholy "Childe," with his attendant page and yeoman, his backward glances on "heartless parasites," on "laughing dames," on goblets and other properties of "the monastic dome"? Is Childe Harold Byron masquerading in disguise, or is he intended to be a fictitious personage, who, half unconsciously, reveals the author's personality? Byron deals with the question in a letter to Dallas (October 31): "I by no means intend to identify myself with Harold, but to deny all connection with him. If in parts I may be thought to have drawn from myself, believe me it is but in parts, and I shall not own even to that." He adds, with evident sincerity, "I would not be such a fellow as I have made my hero for all the world." Again, in the preface, "Harold is the child of imagination." This pronouncement was not the whole truth; but it is truer than it seems. He was well aware that Byron had sate for the portrait of Childe Harold. He had begun by calling his hero Childe Burun, and the few particulars which he gives of Childe Burun's past were particulars, in the main exact particulars, of Byron's own history. He had no motive for concealment, for, so little did he know himself, he imagined that he was not writing for publication, that he had done with authorship. Even when the mood had passed, it was the imitation of the Ars Poetica, not Childe Harold, which he was eager to publish; and when Childe Harold had been offered to and accepted by a publisher, he desired and proposed that it should appear anonymously. He had not as yet come to the pass of displaying "the pageant of his bleeding heart" before the eyes of the multitude. But though he shrank from the obvious and inevitable conclusion that Childe Harold was Byron in disguise, and idly "disclaimed" all connection, it was true that he had intended to draw a fictitious character, a being whom he may have feared he might one day become, but whom he did not recognize as himself. He was not sated, he was not cheerless, he was not unamiable. He was all a-quiver with youth and enthusiasm and the joy of great living. He had left behind him friends whom he knew were not "the flatterers of the festal hour"—friends whom he returned to mourn and nobly celebrate. Byron was not Harold, but Harold was an ideal Byron, the creature and avenger of his pride, which haunted and pursued its presumptuous creator to the bitter end. Childe Harold's Pilgrimage was reviewed, or rather advertised, by Dallas, in the Literary Panorama for March, 1812. To the reviewer's dismay, the article, which appeared before the poem was out, was shown to Byron, who was paying a short visit to his old friends at Harrow. Dallas quaked, but "as it proved no bad advertisement," he escaped censure. "The blunder passed unobserved, eclipsed by the dazzling brilliancy of the object which had caused it." (Recollections, p. 221). Of the greater reviews, the Quarterly (No. xiii., March, 1812) was published on May 12, and the Edinburgh (No. 38, June, 1812) was published on August 5, 1812. NOTES ON THE MSS. OF CHILDE HAROLD. The original MS. of the First and Second Cantos of Childe Harold, consisting of ninety-one folios bound up with a single bluish-grey cover, is in the possession of Mr. Murray. A transcript from this MS., in the handwriting of R. C. Dallas, with Byron's autograph corrections, is preserved in the British Museum (Egerton MSS., No. 2027). The first edition (4to) was printed from the transcript as emended by the author. The "Addition to the Preface" was first published in the Fourth Edition. "The marginal remarks pencilled occasionally were made by two friends who saw the thing in MS. sometime previous to publication. 1812." On the verso of the single bluish-grey cover, the lines, "Dear Object of Defeated Care," have been inscribed. They are entitled, "Written beneath the picture of J. U. D." They are dated, "Byron, Athens, 1811." "Henry Drury, Harrow. Given me by Lord Byron. Being his original autograph MS. of the first canto of Childe Harold, commenced at Joannina in Albania, proceeded with at Athens, and completed at Smyrna." "Sir,—I desire that you will settle any account for Childe Harold with Mr. R. C. Dallas, to whom I have presented the copyright. "Received, April 1st, 1812, of Mr. John Murray, the sum of one hundred pounds 15/8, being my entire half-share of the profits of the 1st Edition of Childe Harold's Pilgrimage 4to. "'As o'er the cold sepulchral stone.'" 2. "Stanzas written in passing the Ambracian Gulph, November 14, 1809." "'The spell is broke, the charm is flown.'" 4. "Stanzas composed October 11, 1809, during the night in a thunderstorm, when the guides had lost the road to Zitza, in the range of mountains formerly called Pindus, in Albania." "Dear Ds.,—This is all that was contained in the MS., but the outside cover has been torn off by the booby of a binder. The volume is bound in smooth green morocco, bordered by a single gilt line. "MS." in gilt lettering is stamped on the side cover. Collation of First Edition, Quarto, 1812, with MS. of the First Canto. The MS. numbers ninety-one stanzas, the First Edition ninety-three stanzas. Insertions in the First Edition. The MS. of the Second Canto numbers eighty stanzas; the First Edition numbers eighty-eight stanzas. Additions to the Seventh Edition, 1814. The Second Canto, in the first six editions, numbers eighty-eight stanzas; in the Seventh Edition the Second Canto numbers ninety-eight stanzas. Sept. 23. Between Cephalonia and Zante. Sept. 26. Anchor off Patras. Oct. 1. Leave Prevesa, arrive Salakhora (Salagoura). Oct. 3. Leave Salakhora, arrive Arta. Oct. 4. Leave Arta, arrive han St. Demetre (H. Dhimittrios). Oct. 8. Ride into the country. First day of Ramazan. Oct. 13. Leave Zitza, arrive Mossiani (Móseri). Oct. 15. Leave Delvinaki, arrive Libokhovo. Oct. 17. Leave Libokhovo, arrive Cesarades (Kestourataes). Oct. 18. Leave Cesarades, arrive Ereeneed (Irindi). Oct. 23. Leave Tepeleni, arrive Locavo (Lacovon). Oct. 24. Leave Locavo, arrive Delvinaki. Oct. 25. Leave Delvinaki, arrive Zitza. Oct. 26. Leave Zitza, arrive Janina. Oct. 31. Byron begins the First Canto of Childe Harold. Nov. 3. Leave Janina, arrive han St. Demetre. Nov. 4. Leave han St. Demetre, arrive Arta. Nov. 5. Leave Arta, arrive Salakhora. Nov. 7. Leave Salakhora, arrive Prevesa. Nov. 10. Leave Volondorako, arrive Castrosikia (Kastrosykia). Nov. 11. Leave Castrosikia, arrive Prevesa. Nov. 13. Sail from Prevesa, anchor off Vonitsa. Nov. 15. Leave Lutraki, arrive Katúna. Nov. 16. Leave Katúna, arrive Makalá (? Machalas). Nov. 18. Leave Makalá, arrive Guriá. Nov. 19. Leave Guriá, arrive Ætolikon. Nov. 20. Leave Ætolikon, arrive Mesolonghi. Nov. 23. Sail from Mesolonghi, arrive Patras. Dec. 4. Leave Patras, sleep at Han on shore. Dec. 5. Leave Han, arrive Vostitsa (Œgion). Dec. 14. Sail from Vostitsa, arrive Larnáki (? Itea). Dec. 15. Leave Larnáki (? Itea), arrive Chrysó. Dec. 17. Leave Chrysó, arrive Arakhova (Rhakova). Dec. 18. Leave Arakhova, arrive Livadia (Livadhia). Dec. 21. Leave Livadia, arrive Mazee (Mazi). Dec. 22. Leave Mazee, arrive Thebes. Dec. 24. Leave Thebes, arrive Skurta. Dec. 30. Byron finishes the First Canto of Childe Harold. Jan. 18. Walk round the peninsula of Munychia. Jan. 19. Leave Athens, arrive Vari. Jan. 20. Leave Vari, arrive Keratéa. Jan. 24. Leave Keratéa, arrive plain of Marathon. Jan. 26. Leave Marathon, arrive Athens. Mar. 13. Leave Smyrna, sleep at Han, near the river Halesus. Mar. 14. Leave Han, arrive Aiasaluk (near Ephesus). Mar. 28. Byron finishes the Second Canto of Childe Harold. April 12. Anchor off Tenedos. April 13. Visit ruins of Alexandria Troas. April 14. Anchor off Cape Janissary. April 30. Visit the springs of Bunarbashi (Bunarbási). May 1. Weigh anchor from off Cape Janissary, anchor eight miles from Dardanelles. May 2. Anchor off Castle Chanak Kalessia (Kale i Sultaniye). May 3. Byron and Mr. Ekenhead swim across the Hellespont (lines "Written after swimming," etc.). July 14. Sail from Constantinople in Salsette frigate. July 18. Byron returns to Athens. Ianthe (Lady Charlotte Harley), from an Engraving by W. Finden, after a Drawing by R. Westall, R.A. The Duchess of Richmond, from a Miniature by Richard Cosway, in the Possession of His Grace the Duke of Richmond and Gordon, K.G. Portrait of Lord Byron at Venice, from a Painting in Oils by Ruckard, in the Possession of Horatio F. Brown, Esq. "L'univers est une espèce de livre, dont on n'a lu que la première page quand on n'a vu que son pays. J'en ai feuilleté un assez grand nombre, que j'ai trouvé également mauvaises. Cet examen ne m'a point été infructueux. Je haïssais ma patrie. Toutes les impertinences des peuples divers, parmi lesquels j'ai vécu, m'ont réconcilié avec elle. Quand je n'aurais tiré d'autre bénéfice de mes voyages que celui-là, je n'en regretterais ni les frais ni les fatigues. "—Le Cosmopolite, ou, le Citoyen du Monde, par Fougeret de Monbron. Londres, 1753. The following poem was written, for the most part, amidst the scenes which it attempts to describe. It was begun in Albania; and the parts relative to Spain and Portugal were composed from the author's observations in those countries. Thus much it may be necessary to state for the correctness of the descriptions. The scenes attempted to be sketched are in Spain, Portugal, Epirus, Acarnania and Greece. There, for the present, the poem stops: its reception will determine whether the author may venture to conduct his readers to the capital of the East, through Ionia and Phrygia: these two cantos are merely experimental. A fictitious character is introduced for the sake of giving some connection to the piece; which, however, makes no pretension to regularity. It has been suggested to me by friends, on whose opinions I set a high value, that in this fictitious character, "Childe Harold," I may incur the suspicion of having intended some real personage: this I beg leave, once for all, to disclaim—Harold is the child of imagination, for the purpose I have stated. In some very trivial particulars, and those merely local, there might be grounds for such a notion; but in the main points, I should hope, none whatever. It is almost superfluous to mention that the appellation "Childe," as "Childe Waters," "Childe Childers," etc., is used as more consonant with the old structure of versification which I have adopted. The "Good Night" in the beginning of the first Canto, was suggested by Lord Maxwell's "Good Night" in the Border Minstrelsy, edited by Mr. Scott. With the different poems which have been published on Spanish subjects, there maybe found some slight coincidence in the first part, which treats of the Peninsula, but it can only be casual; as, with the exception of a few concluding stanzas, the whole of the poem was written in the Levant. "Not long ago I began a poem in the style and stanza of Spenser, in which I propose to give full scope to my inclination, and be either droll or pathetic, descriptive or sentimental, tender or satirical, as the humour strikes me; for, if I mistake not, the measure which I have adopted admits equally of all these kinds of composition." Strengthened in my opinion by such authority, and by the example of some in the highest order of Italian poets, I shall make no apology for attempts at similar variations in the following composition; satisfied that, if they are unsuccessful, their failure must be in the execution, rather than in the design sanctioned by the practice of Ariosto, Thomson, and Beattie. I have now waited till almost all our periodical journals have distributed their usual portion of criticism. To the justice of the generality of their criticisms I have nothing to object; it would ill become me to quarrel with their very slight degree of censure, when, perhaps, if they had been less kind they had been more candid. Returning, therefore, to all and each my best thanks for their liberality, on one point alone I shall venture an observation. Amongst the many objections justly urged to the very indifferent character of the "vagrant Childe" (whom, notwithstanding many hints to the contrary, I still maintain to be a fictitious personage), it has been stated, that, besides the anachronism, he is very unknightly, as the times of the Knights were times of Love, Honour, and so forth. Now it so happens that the good old times, when "l'amour du bon vieux terns, l'amour antique," flourished, were the most profligate of all possible centuries. Those who have any doubts on this subject may consult Sainte-Palaye, passim, and more particularly vol. ii. p. 69. The vows of chivalry were no better kept than any other vows whatsoever; and the songs of the Troubadours were not more decent, and certainly were much less refined, than those of Ovid. The "Cours d'Amour, parlemens d'amour, ou de courtoisie et de gentilesse" had much more of love than of courtesy or gentleness. See Rolland on the same subject with Sainte-Palaye. Whatever other objection may be urged to that most unamiable personage Childe Harold, he was so far perfectly knightly in his attributes—"No waiter, but a knight templar." By the by, I fear that Sir Tristrem and Sir Lancelot were no better than they should be, although very poetical personages and true knights, "sans peur," though not "sans réproche." If the story of the institution of the "Garter" be not a fable, the knights of that order have for several centuries borne the badge of a Countess of Salisbury, of indifferent memory. So much for chivalry. Burke need not have regretted that its days are over, though Marie-Antoinette was quite as chaste as most of those in whose honour lances were shivered, and knights unhorsed. Before the days of Bayard, and down to those of Sir Joseph Banks (the most chaste and celebrated of ancient and modern times) few exceptions will be found to this statement; and I fear a little investigation will teach us not to regret these monstrous mummeries of the middle ages. I now leave "Childe Harold" to live his day such as he is; it had been more agreeable, and certainly more easy, to have drawn an amiable character. It had been easy to varnish over his faults, to make him do more and express less, but he never was intended as an example, further than to show, that early perversion of mind and morals leads to satiety of past pleasures and disappointment in new ones, and that even the beauties of nature and the stimulus of travel (except ambition, the most powerful of all excitements) are lost on a soul so constituted, or rather misdirected. Had I proceeded with the Poem, this character would have deepened as he drew to the close; for the outline which I once meant to fill up for him was, with some exceptions, the sketch of a modern Timon, perhaps a poetical Zeluco. "The cheerless thing, the man without a friend,"
at least, till death had deprived him of his nearest connections.